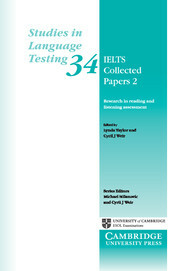 This volume reports research that informs the development of reading and listening assessment in IELTS. 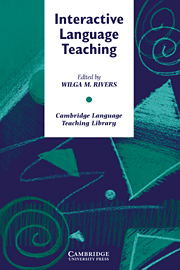 This volume brings together a set of eight IELTS-related research studies - four on reading and four on listening - conducted between 2005 and 2010. Findings from these studies provide valuable evidence on the validity, reliability, impact and practicality of the IELTS test; they are also instrumental in highlighting aspects needing attention, and thus directly inform the continuing evolution of the IELTS reading and listening tests. The volume reviews and comments on the specific contribution of each study to the ongoing process of IELTS reading and listening test design and development. Describes the original design and development of the IELTS reading and listening tests, and how these have evolved over time. Reviews implications of research study findings for the IELTS test. Presents a variety of different research methodologies for investigating aspects reading and listening tests. Teachers and writers describe the approaches and techniques they have incorporated into their own teaching.